GSA Approved Product A secure way to carry your oxygen cylinder with you. 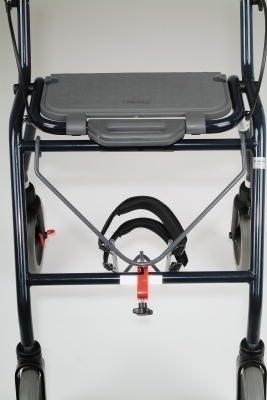 The metal frame hangs from the walker cross bar beneath the seat, replacing the basket. A Velcro strap hold the cylinder tightly in the frame but easy to open to remove the cylinder. Holds a B, C or D size tank. Fits Legacy, Symphony, Alpha and Maxi standard or Low sizes. Warranty Information Manufacturer provides a one Year warranty against manufacturing defects from date of original purchase. Excludes damage due to wear and tear or abuse. 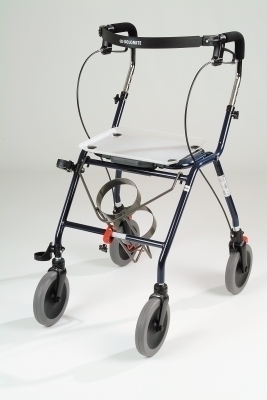 Warranty covers parts, grabs, paraplis, ramp, toilevator, arco, mrail, dst, ottobock.